Marketplace Home Mortgage enters its next state with ambitious expansion plans. A leading provider in home mortgage services is tapping a 15-year veteran of the Dubuque area market, as part of its expansion into the state of Iowa, the company announced today. Marketplace Home Mortgage plans to open five branches across the Hawkeye State this year. That starts with the Dubuque office, where senior loan officer Sara Lindecker is already a go-to be a resource among local real estate agents to help home buyers simplify the mortgage process. Lindecker grew up in the tri-state area and says Marketplace’s advanced technologies focused on home buyers and Realtors – like the mobile app which lets them check the status of their application and upload documents – present a new opportunity for her to provide exemplary service to her clients. Other Markeplace branches are slated for Des Moines, Cedar Rapids, Iowa City and Davenport, Nester said. The Minnesota-based company has branches in a growing number of other states including Colorado, Wisconsin and Florida. 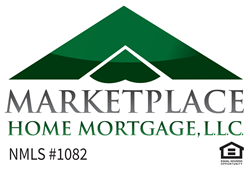 Marketplace Home Mortgage L.L.C., based in Edina, Minn., provides start-to-finish mortgage services to real estate professionals, builders and individual homebuyers. Marketplace also maintains offices in Duluth, MN; Milwaukee, Madison, and Green Bay, WI; throughout Florida; and newly opened offices in South Dakota, Iowa, New Hampshire, Michigan, as well as Denver and Westminster, CO. To learn more, visit http://www.marketplacehome.com. Reporters and Editors: to schedule an interview with a mortgage expert in your market, contact Robb Leer 612.701.0608 or robbl(at)leercommunication.com.